| Home | Blog | Why Is My Cat Peeing Outside of the Litter Box? Why Is My Cat Peeing Outside of the Litter Box? One of the great conveniences of owning a cat is the fact that they’re litter box trained. No getting up in the middle of the night to take the pet out to relieve itself. No unpleasant surprises left to be found in hidden corners. But sometimes a cat that uses a litter box without issue for years begins “missing” the box or relieving itself in a part of the house far from the litter box. The reasons as to why could be as minor as the introduction of a new puppy or renovating the kitchen. 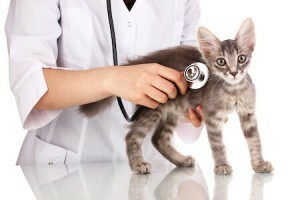 However, litter box issues can also indicate that a cat is suffering from a potentially serious health problem. Health concerns aside, the longer a cat relieves itself indoors away from its litter box, the more ingrained the behavior becomes. To protect both the cat and its owner’s property and belongings, this behavior should be investigated quickly and thoroughly. 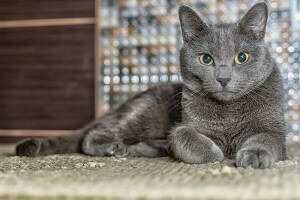 Below are some tips to help you and your feline friend resolve its litter box issues. While you would prefer a text message, your pets occasionally use their urine as a means of communication. 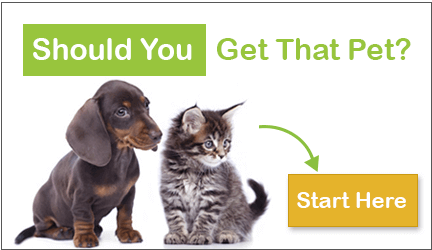 Abnormal urination or defecation in cats and dogs can be a way of relieving or expressing stress. It also can be a way of marking territory perimeters. Domestic cats have territories that are comprised of surprisingly small amounts of area, even ones that go out of doors. As a result, they’re very attuned to changes in their environment. You may not be happy if another member of the household makes changes to a furniture arrangement, invites unexpected guests, or moves your belongings without warning. You might be really unhappy if that member unexpectedly adopted another family member without your permission or knowledge. Have you made any recent or notable changes to the interior of your home? Have you had recent workers or house guests? Has the cat’s litter box been moved to another part of the house? Have you recently adopted another pet, such as a cat or a dog? Have you recently lost a household member, perhaps to illness or death? Sometimes a litter box problem can be as simple as the litter box itself. A surprising number of cat owners seem to think that cat litter boxes are “one size fits all”. But a cat that has outgrown its litter box may be peeing outside of its box because it simply has no room to normally and comfortably relieve itself. Cats reach their adult sizes at wildly varying rates, but in general, if there isn’t a couple of inches between kitty’s posterior and the litter box wall, then the litter box is too small. 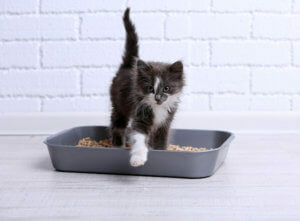 Changing litter brands or buying a new litter box can be deal breakers for a cat when it comes to using a litter box. And how often is that litter getting changed? Cats don’t like dirty litter either, and if they find it in their boxes on too regular a basis, they’ll stop using the box altogether. Other unusual “bathroom” behavior like “dribbling” urine across rooms or non food related diarrhea may be disease related. Waste should be removed from boxes on a daily basis. Boxes should be washed and litter completely replaced every two to three weeks. Kittens, indoor cats, and ill ones may need box cleanings twice daily. For cats in love with a particular box, you may have to tolerate it until the cat literally wears it out. Sorry, but if kitty loves that stinky and non clumping litter, you might just have to grin and bear it. Once you and kitty have agreed on a location, try to move its box as little as possible. And in multiple cat households, each “sibling” should have his or her own box. It can help to resolve “stressor” (new people, pets, locations, or territory changes) issues by avoiding, limiting, or introducing them as slowly as possible. Some very distraught cats are soothed by confining them alone along with dishes and litter box to a small room until the stressor is removed or slowly introduced. In both cases, medical attention should be sought as quickly as possible. Even in non serious medical or age related situations, rapid intervention can keep cats comfortable and avoid escalating medical problems. If urine is being cleaned from a hard surface, disinfect after washing. Often, medical treatment or resolving litter box issues will correct “outside the box” problems. Some pets however, will continue to relieve themselves in undesirable locations either because of new learned behavior, or because they’re attracted to remaining urine residue. Never squirt water, strike, yell at, or scold an offending animal. This will only confuse it, and probably intensify the offending behavior. Instead, make the carpeted area unattractive by temporarily flipping it or placing double sided tape around its edges. Placing the cat’s litter box directly over the “pee spot” and moving the box back an inch a day until the box is returned to its original location can also help. And play with the cat more frequently near the box in its desired location,and leave toys nearby. This causes the cat to associate the box with pleasant experiences, making kitty more inclined to use it for the function for which it is intended.